Sorry, I guess I’ve moved on. 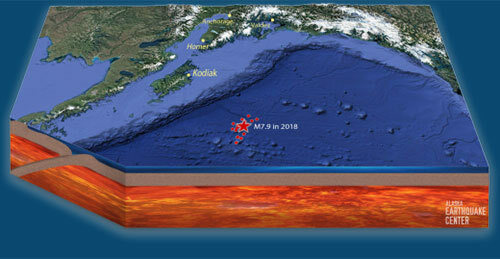 I should pay more attention, given that you – a 7.9 deep in the seafloor not far from Kodiak – are the most powerful earthquake on the planet since one off Mexico last August. I’m sorry I lost interest. Forgive me. 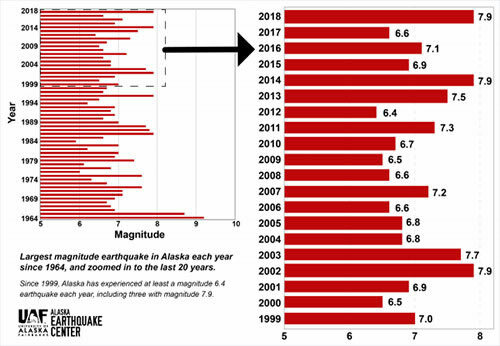 But don’t forget: This year, until some desert shrubland or undersea canyon fractures with a magnitude 8.0 – something that happened only once in 2017 and not at all in 2016 – you are still No. 1.